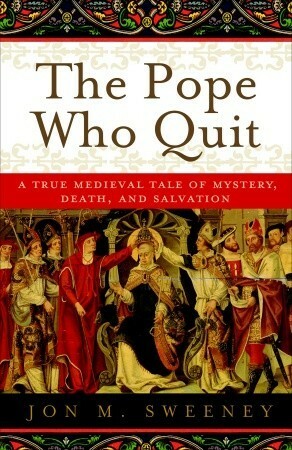 A year ago I reviewed Jon M. Sweeney’s The Pope Who Quit, the story of how Peter Morrone, a humble and uncultivated Italian hermit, became Pope in 1294 at the ripe age of 84, taking the name of Pope Celestine V. Unable to cope with the demands of the papacy, he abdicated some months later. In his book, Jon M. Sweeney tells us how Pope Benedict IX came to pray over the tomb of his Medieval predecessor and suggests he might have been asking him for advice as he considered his own resignation. When the resignation of Pope Benedict IX was announced last week, I remembered Jon’s prophetic words with awe. If the news surprised you or made you wonder why this was such a shock for the Catholic community, you may want to read this fascinating story of a time so different from ours when another Pope also resigned.